At Sharp Family Dentistry, we’re committed to ensuring our patients have a convenient, positive, and stress-free experience. From our warm, welcoming lobby to our state-of-the-art treatment rooms, you can rest assured that our team will take great care of you! You may not associate comfort with the dentist, but at Sharp Family Dentistry, now you can. We work hard to ensure our patients feel at home while they’re with us. We have a full suite of patient amenities to keep you relaxed and entertained from our lobby to our treatment rooms. 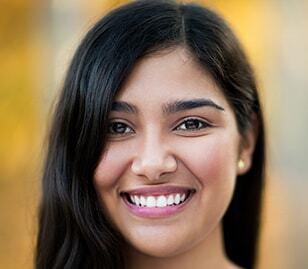 We understand that fitting dental care into a busy schedule can be difficult. That’s why we do our best to make your visits to our office as easy and convenient as possible. You won’t have to make multiple trips to the office—we can treat your whole family in just one visit. With a hectic schedule it can be hard to keep track of appointments, but don’t worry. We’ll send you a reminder! If you have severe tooth pain or another dental emergency, we’ll get you into our office the same day you call. We’ve invested in leading-edge technology because we believe our patients deserve the highest quality of care. Our treatment rooms are fully equipped with advanced technology to provide quick, efficient, and effective dental treatments. 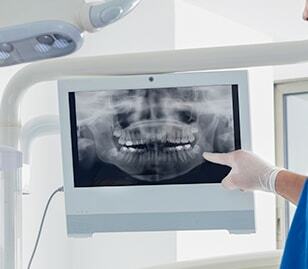 Digital X-rays emit less radiation than film X-rays, deliver images almost instantly without needing wait time for them to develop, and are higher quality for easy magnifying. All of this means we can keep you more comfortable, cut down on your appointment time, and more effectively diagnose your condition. 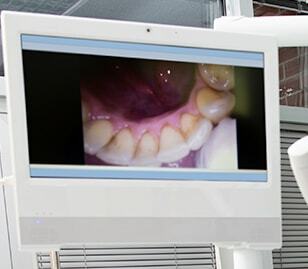 Our smile preview software allows us to visualize the end results of your dental treatment before we even begin any procedure. By being able to actually see the possibilities, we hope to help you feel more confident about what next steps you want to take. 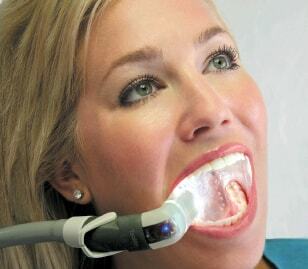 The TRIOS intraoral scanner offers a quick, easy alternative to traditional (and oftentimes messy) impression taking. With the scanner, we scan your teeth to get high-definition photos, which we then use to go over and plan your treatment with precision. The Isolite has a number of features that enhance your comfort while we take care of you, and enable us to work more efficiently. There is a soft mouthpiece to protect your tongue and cheeks, a light for increase visibility, and an all-in-one hydration and suction functionality.